Caitlyn Ricci lawsuit. Pictured Caitlyn with her mother, Maura McGarvey left hand side. 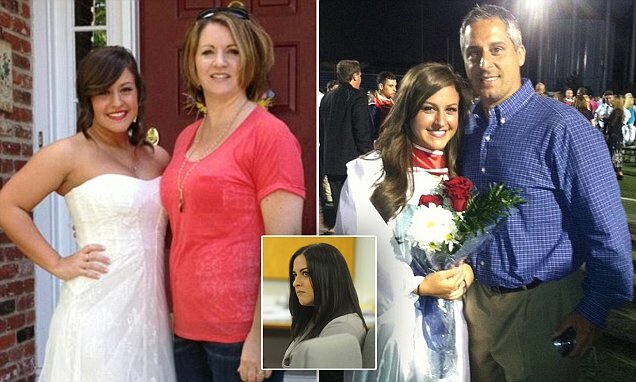 Caitlyn Ricci pictured with her father, Michael Ricci. Caitlyn Ricci lawsuit: An appellate court has ruled in the favor of a girl’ parents after refusing a previous decision to pay for their daughter’s college. 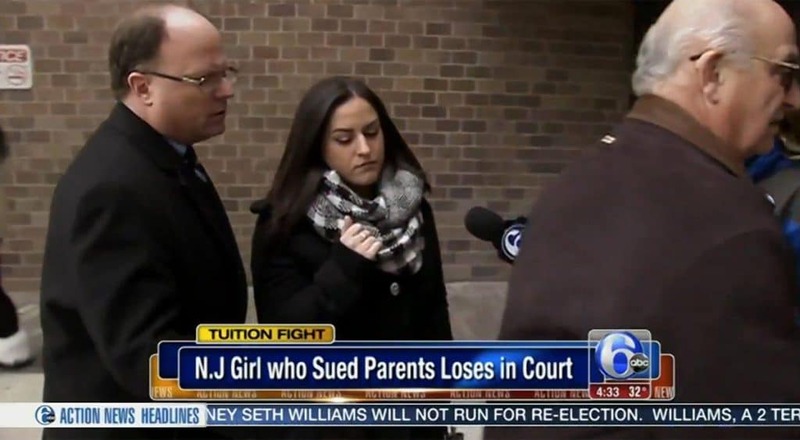 Caitlyn Ricci a 23 year old Temple University undergraduate has lost a lawsuit against her parents after an appellate New Jersey court reversed a previous decision in her favor. The new ruling comes after the woman’s parents were initially mandated to pay their daughter’s $16 000 college annual tuition cost after the girl split from her parents, only to move in with her paternal grandparents, who then funded the daughter’s lawsuit against her own parents in 2013. The decision noted Caitlyn ‘demonstrated her desire to be independent of parental control, which obviated any obligation for support’. The court said the obligation depends on whether or not the parents are involved in the college making decision and whether or not they can afford it. A report via NJ.com tells of Caitlyn winning the case in 2014 based off of the 1982 ruling of Newburgh vs Arrigo which states divorced parents are legally obligated to pay for their child’s tuition. Her parents appealed the ruling claiming it was unconstitutional and had refused to pay. In turn the daughter sued her parents for contempt of court. Caitlyn Ricci lawsuit. Pictured divorced parents, Maura McGarvey and Michael Ricci. McGarvey told the court that her daughter left after refusing to do chores and follow a curfew, which they enforced after Caitlyn repeatedly got in trouble for underage drinking. But Caitlyn said she moved partly because of a dispute about taking a summer class. McGarvey explained they had enforced the summer class as punishment for Caitlyn getting kicked out of the Disney College Program – paid for by her and her ex-husband – for underage drinking. She moved in with her paternal grandparents in Cherry Hills, New Jersey and, despite their fallout, the mother said she tried to reach out to Caitlyn – sending her letters and writing her poems – but she never heard back. The parents claim she also purchased a car when she left the family home and subsequently demanded the money through her lawyers. They eventually tried to file for an emancipation but the day before Mothers’ Day last year, papers from Caitlyn’s attorneys arrived at their home. 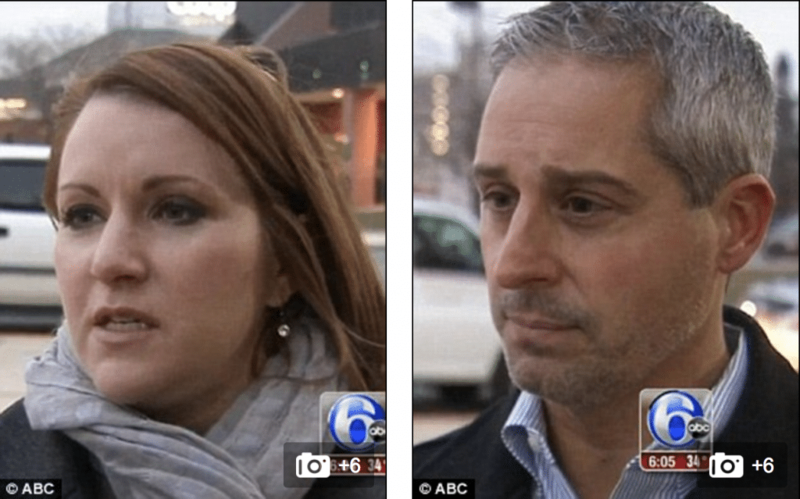 The girl’s grandparents – who have not spoken to their son in years – paid for her to get a lawyer to sue her parents. McGarvey’s attorney told the publication that Caitlyn has reconciled with her parents after the legal battle. If the Grandparents had enough money for lawyers and long court battles why didn’t they just pay for her college?.. If you’re an adult at 18, then why do your parents have to keep paying for everything when they no longer have a legal say in anything you do? The courts have has no business telling parents what their financial obligations are when it comes to their children’s education.. A good example of judicial overreach.